A prison drama for family viewing? 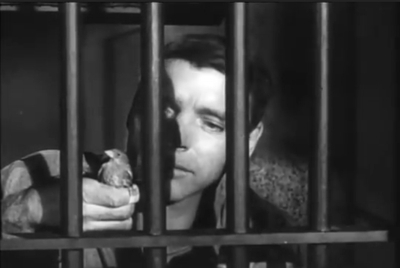 Normally not, but Birdman of Alcatraz isn’t your typical prison movie. It’s not an action film or one that feeds off familiar prison tropes. For the first two-thirds of this 1962 black-and-white drama, which earned four Oscar nominations, there are no escape attempts, no guard brutality, no prison gangs ruled by mobsters, no trading cigarettes to get easy jobs, no sexual assaults, no riots, and nothing remotely loud or uncivil. 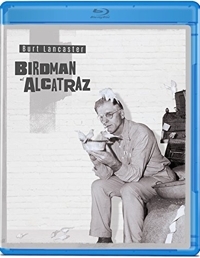 Birdman of Alcatraz tells the story of Robert Franklin Stroud, who spent most of his adult life in prison. There are no backstories. We are told only that he is imprisoned at the medium-security federal penitentiary in Leavenworth, Kansas, because he killed a man in Alaska—a man who was beating up a prostitute. And he has an old photo of his mother that he keeps on a shelf. Most of the film takes place in Leavenworth before a prison official who resented Stroud got him transferred to Alcatraz. But, of course, Birdman of Leavenworth just doesn’t have the same ring. Alcatraz, “The Rock,” was a high-security penitentiary where troublemakers from the other prisons were sent. 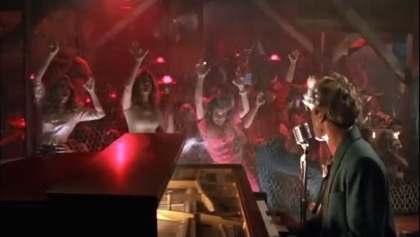 He was rock ‘n’ roll’s first great wild man, playing the piano with fierce showmanship while singing a string of his early classic hits: “Crazy Arms,” “Whole Lotta Shakin’ Goin’ On,” “Great Balls of Fire,” “Breathless,” and “High School Confidential.” But then he got a little too close to his teeny-bopper audience, and it burned him big-time. His asking price for a single appearance dropped from $10,000 to $250 dollars, almost overnight. It’s impossible to separate Jerry Lee Lewis, one of the biggest stars of the early days of rock ‘n’ roll, from Jerry Lee Lewis, the 23 year old who married his 13-year-old first cousin once removed—that is, the daughter of a cousin who was a member of his band. A year after Winona Ryder starred in the edgy Heathers and a year before she fell for Johnny Depp’s character in Edward Scissorhands she played Myra Gale Brown, who became the most famous 13 year old in rock ‘n’ roll history. It’s hard to tell what was more scandalous: her age, the marriage to Lewis (played here with great accuracy by Dennis Quaid), or the fact that she was his third wife . . . and rumor had it he never officially got divorced from #2. 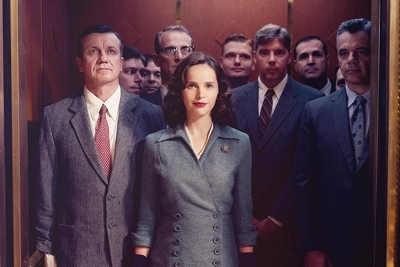 Biopics were big in the ’40s and ‘50s. Whether it was Gary Cooper as Lou Gehrig, Greer Garson as Marie Curie, James Cagney as George M. Cohen, James Stewart as Charles Lindberg, Danny Kaye as Hans Christian Andersen, or any number of others, audiences enjoyed watching their Hollywood heroes playing real-life ones. 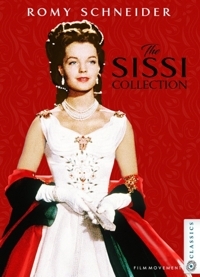 In Europe, though, one biopic towered regally over all the rest: the phenomenally popular Sissi trilogy from director Ernst Marischka, starring Romy Schneider. 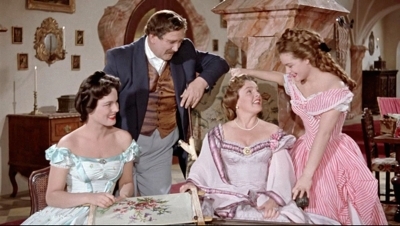 In Sissi (1955), Sissi: The Young Empress (1956), and Sissi: The Fateful Years of an Empress (1957), Schneider played Princess Elisabeth of Bavaria, who went on to marry Franz Josef, Emperor of Austria. As the Empress, “Sissi” reigned alongside him from 1854-1898, and significantly helped unite Austria and Hungary. By today’s standards, all of the postwar biopics seem sanitized and romanticized, and Sissi is no exception. The “fateful years” don’t involve a guillotine or even a significant loss of any kind, because movies from this era either stopped short of showing a historical figure’s real tragic fate or softened it by depicting it off-camera. The real Empress Elisabeth was assassinated at age 60, but this cheery blend of history, comedy, and romance only covers Sissi’s late teenage years growing up in Bavaria through her forties as Empress trying to balance the demands of government with her own needs and desires. 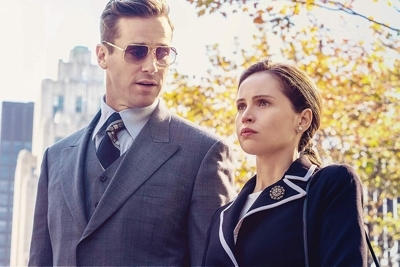 Even that last phrase, as I write it, seems more sensational than this film or biopics from the era, which were intended as entertainments for the whole family. 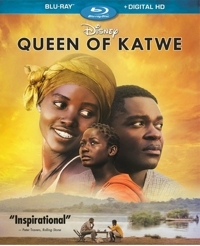 Queen of Katwe is a co-production of Walt Disney Pictures and ESPN Films, and it does have the road-to-success structure of a typical sports biopic. The difference is that the “sport” here is chess—that two-player brainy board game enjoyed worldwide. If that sounds nerdy or dull, it’s not. This is no Bobby Fischer story of a temperamental prodigy living a life of privilege. 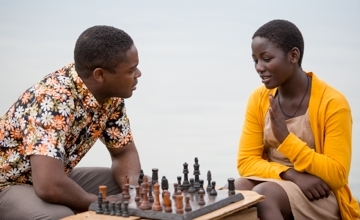 Queen of Katwe is based on the true story of Phiona Mutesi (Madina Nalwanga), an Ugandan girl who grew up in a slum known as Katwe. And it’s not just her story. There are many places to find inspiration in this wonderful little PG-rated film, which seems perfect for family viewing on so many levels. Shot in Kampala, Uganda in the actual slums of Katwe, the film provides a detailed picture of life as it’s lived in a Third World country . . . and in a section that’s impoverished even by Third World standards. Just to glimpse daily life there gives an eye-opening perspective to children raised in a western city, suburb, or small town. Though what you see isn’t overbearingly oppressive, it’s impossible to watch this film and not feel your mind and your own world expanding. There is poverty in Katwe, and yet there is still dignity and an attitude of joyfulness, especially in the children, that cannot be squashed. You feel it throughout the film, and as a result you come away from it appreciating your own life all the more—no matter what struggles you might have . . . or think you have. 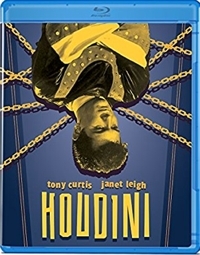 Hollywood legend Tony Curtis gives one of his best performances in Houdini, a colorful biography set in the 1890s through the 1920s, and he does it playing opposite his then-wife Janet Leigh when they were still relative newlyweds. In this film, Harry and Bess’s meet-cute courtship is the stuff of romantic comedies, and there are plenty of laughs as she joins his act and they go from playing West Virginia vaudeville houses to performing in front of packed crowds at the best opera houses in Europe. Harry Houdini was the most famous magician and escape artist in the world during his lifetime and through the 1950s, when this Technicolor period biopic was made. 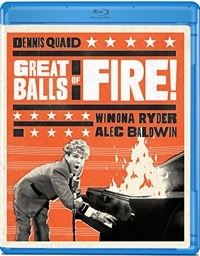 This film does a great job capturing the carnivalesque nature of vaudeville and the fame that Houdini found in Europe, where he made headlines by breaking out of a Scotland Yard jail. The film also captures Houdini’s obsession with giving the audience bigger and more death-defying stunts, including one in which he was hung upside down from the roof of a skyscraper as he wriggled free of a straitjacket and chains. The real Houdini lived to be 52 and died, ironically, not from any of his dangerous stunts—which included escaping from inside locked safes and chained boxes lowered into water—but from gut punches administered by a cocky college student who had heard Houdini had an iron stomach. The blows aggravated the escape artist’s appendicitis, and he died of a ruptured appendix and peritonitis.